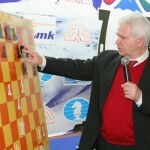 Boris Spassky, the Tenth World Chess Champion, today turned 75. In a long interview he talked about his introduction to chess, the road to the title and his friendship and rivalry with Bobby Fischer, as well as about his personal life, from surviving the Siege of Leningrad to his first unsuccessful marriage and moving to France. After Boris Gelfand won the Candidates Matches in Kazan he gave numerous interviews that shed light on a player who, despite having been at the top of world chess for 20 years, is perhaps still something of a mystery to chess fans. 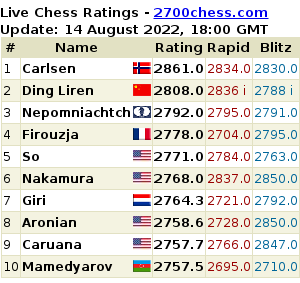 It’s time for that to change, as an Anand-Gelfand World Championship match awaits! After yesterday’s dramatic tie-breaks the two winners talked to the press. Although they both made short statements in English, the most interesting comments were in Russian. 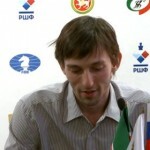 Grischuk, in particular, tried to explain his time trouble and match strategy, and defended the format of the event. The final classical game between Vladimir Kramnik and Alexander Grischuk was a fantastic advert for chess. Spectators around the world watched in high resolution video as both players missed winning chances in time trouble. 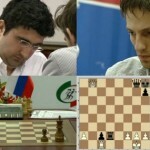 Sergey Shipov compared Grischuk to “his great predecessor, Harry Houdini”. Radjabov to challenge Grischuk’s place?